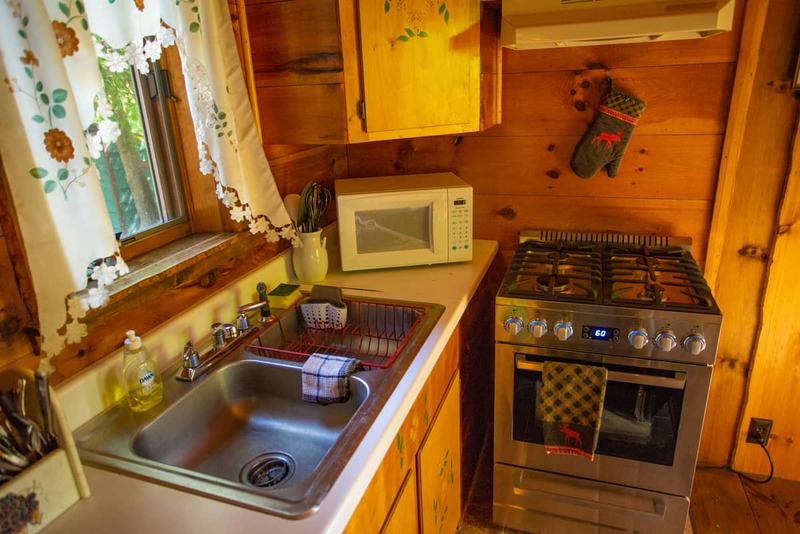 Spread out over 25 acres of woods and water; nature is our main street, and space is your lodging neighbor. 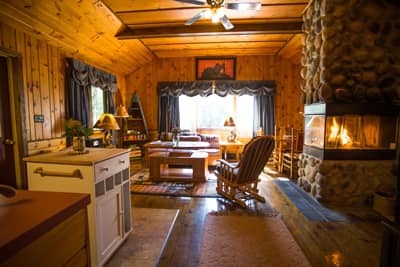 Private, pet-friendly miniature great camps meticulously crafted by 3 generations, all with fireplaces and others with Jacuzzi's or hydro-therapy steam showers and lake view. 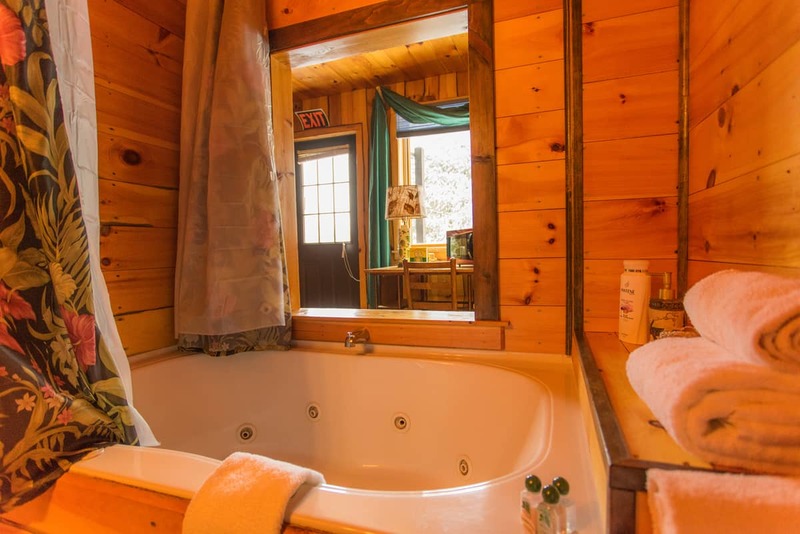 Adorning our 3 acre Great Camp lake lawn and secluded beach with bubbling Jacuzzi in the warmth of one of the most inspiring mountain-lake sunsets your soul can imagine. Each room with its own unique artisan story; all with their own private bath. Relax downstairs in the lobby which once was a post-office and trading post or the Fireside Speakeasy. The soft lake breezes from our picturesque beach. Hear the calming melody of our loons. Become mesmerized by a breathtaking mountain-lake sunset finding its home in the cradle of the St. Regis mountain range. 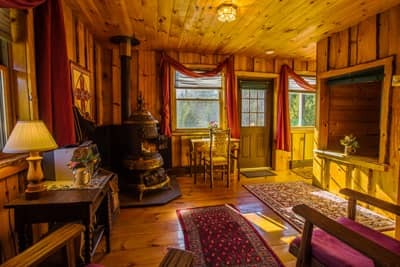 From a variety of Adirondack lodging: miniature pet-friendly great camp cabins with fireplaces in the midst of our nature trails, lake-view suites with bubbling Jacuzzi’s on our 3-acre lake lawn, and supp and snooze rooms with private baths in an Adirondack Lodge that is one of the last of its kind. 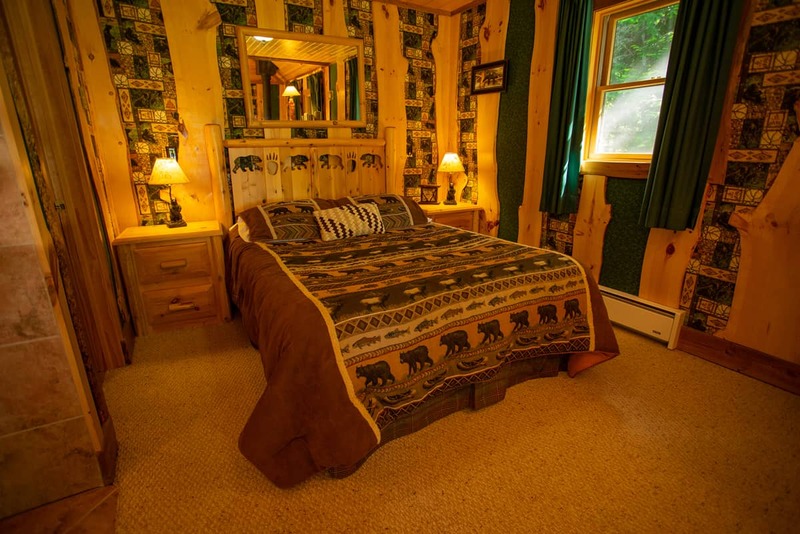 On your lodging stay with a host of Adirondack Experience Packages. From paddles, bikes and Old World Cooking demos, to History of Adirondack Food events, History of Beer Workshops, and area attractions in nearby Saranac Lake, Tupper Lake, and Lake Placid. Throw away the keys to discover our nature and reconnect with yours. 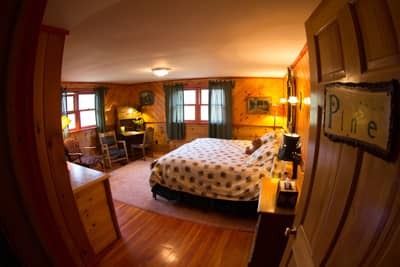 Where your lodging is our 25 acres of nature trails, one of the world’s most incredible mountain-lake beach sunsets, an 1886 main lodge which was an 1800’s trading post, post office and stagecoach inn with a 1920s Speakeasy, and one of the last original Great Camp dining restaurants. 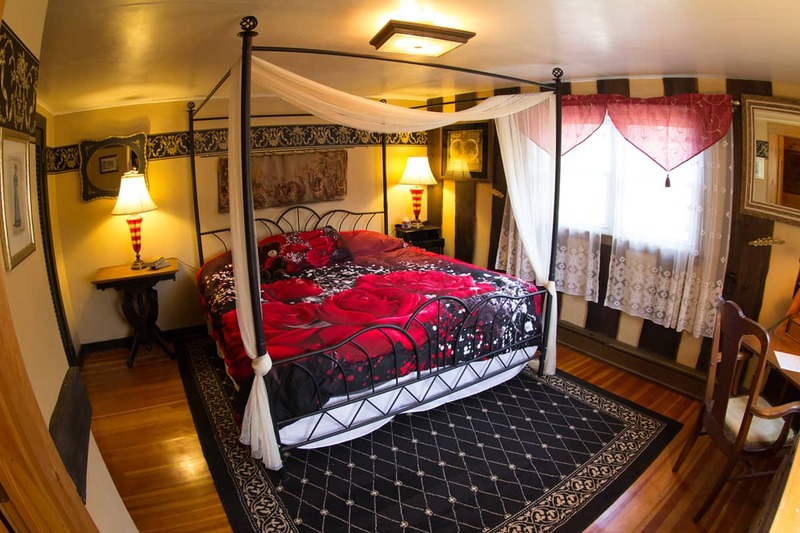 A destination lodging experience awaits you. There are no replica rooms and no confined spaces here. Nature is our main street, and space is your lodging neighbor, spread out over 25 acres of water and woods. Each accommodation has a story to tell, honored by the legacy of family craftsmanship and stewardship. We are 1 of only 7 Audubon 5 Green leaf hotels in North America. In this eco-conscious fashion, much of what warms your eye has been milled from the estate, and each has been touched by the discerning eye of several generations of family. 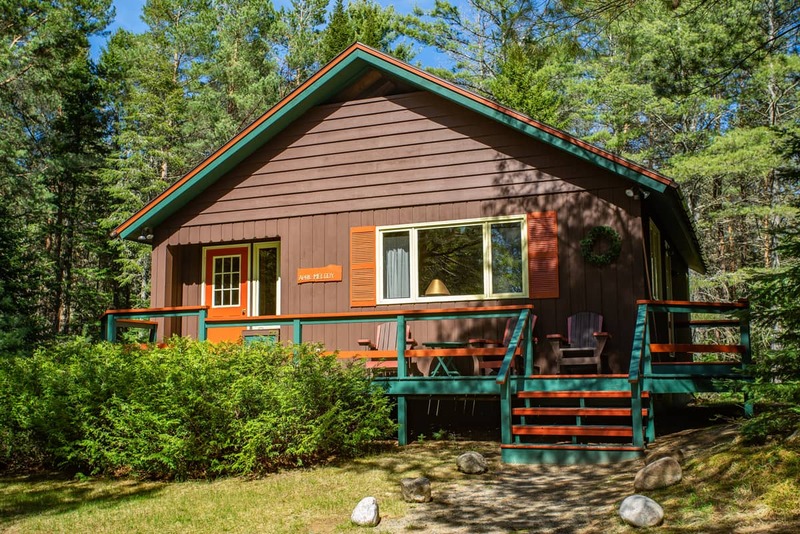 The Lake Clear Lodge & Retreat is 15 minutes outside of Saranac Lake in the woods and on the water; if you have questions about accessibility, please contact us.